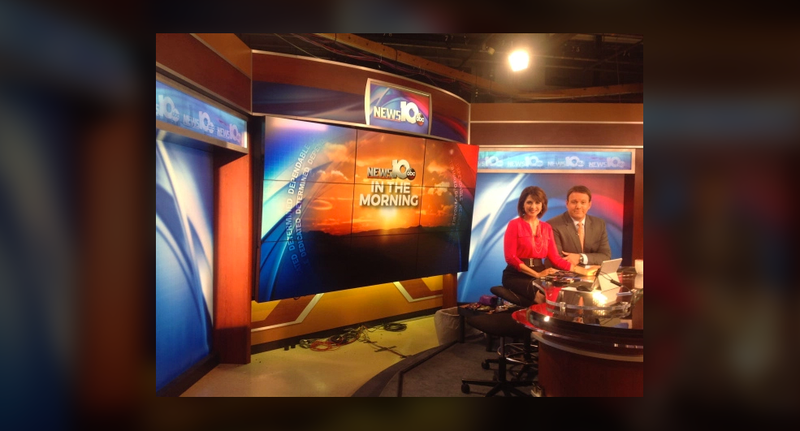 WTEN-TV, the Albany, N.Y., ABC affiliate, has updated and added on to its set. The station, owned by Media General, installed a new anchor desk in its studio, along with a nine-panel video wall behind it. A new addition to the studio, meanwhile, is the “Alert Desk,” a working area of the studio that the station says will help it deliver breaking news faster. 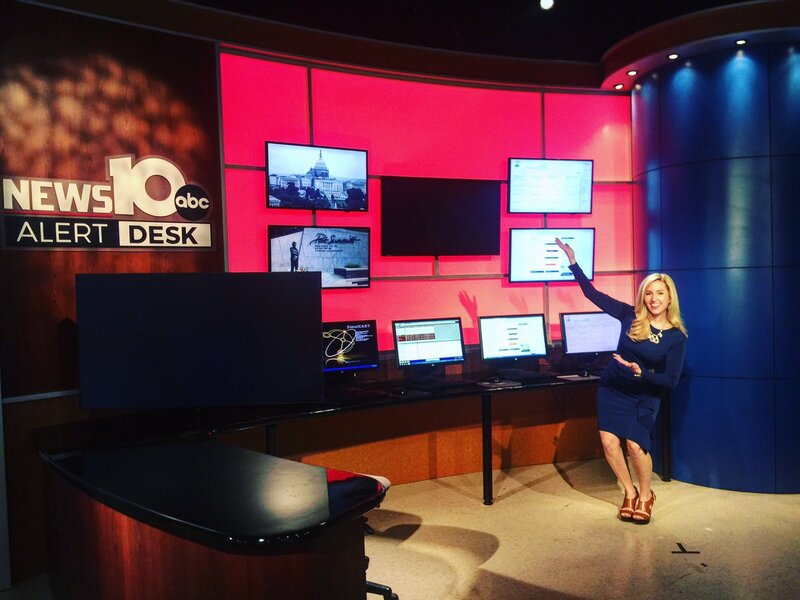 The center, which anchor Noel McLaren shows off here using her best Vanna White pose, includes a color changing wall, multiple wall mounted monitors and a row of workstations. These types of areas are becoming increasingly common in newsrooms, though they don’t always have a formal name or even permanent home, as stations look for more ways to integrate realtime news and social media streams into their broadcasts. At some stations, the area might be the “Alert Desk” like a WLS-TV in Chicago, which simply brands various areas of its set under the banner, and uses it, essentially, for live in-studio reports. The use of the word “Alert” in branding a part of a news set has taken some criticism since it can seem over-the-top and even a bit scary. A prime example cited by many is what Sinclair did when it created the “Terrorism Alert Desk” for use across its stations.